A lone Alberta Conservative MP's voice of dissent scuttled the quick adoption of a motion in the House of Commons Wednesday calling on Pope Francis to apologize for residential schools. A lone Conservative MP's voice of dissent scuttled the quick adoption of a motion in the House of Commons Wednesday calling on Pope Francis to apologize for residential schools. The NDP motion was opposed by Conservative MP Garnett Genuis whose voice broke the unanimous consent needed to adopt the motion. It will now go to debate and a standing vote. 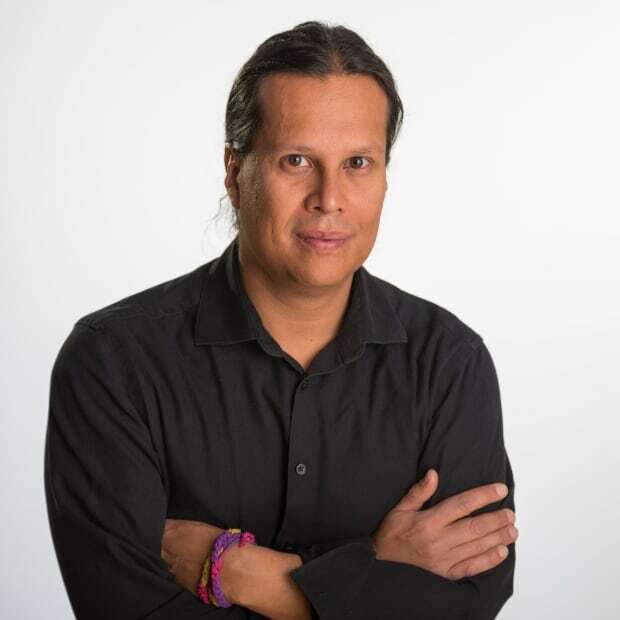 Genuis, who represents the Alberta riding of Sherwood Park-Fort Saskatchewan, had telegraphed his position in a tweet posted about two hours before the motion was read out in the House of Commons. "I believe very much in religious freedom and in the importance of separation of church and state," Genuis told reporters after voicing his dissent. "I think that most of the questions around the appropriate formula for an apology, about the way the church should approach it, are questions for the church." The motion, which was supported by the Liberals, calls on the Canadian Conference of Catholic Bishops (CCCB) to "invite Pope Francis to Canada" and apologize to residential school survivors on behalf of the Catholic Church. The motion also calls on the church to turn over all its residential school documents and pay the remaining amount of funds it initially promised to raise for survivors before it was let off the hook by Ottawa. 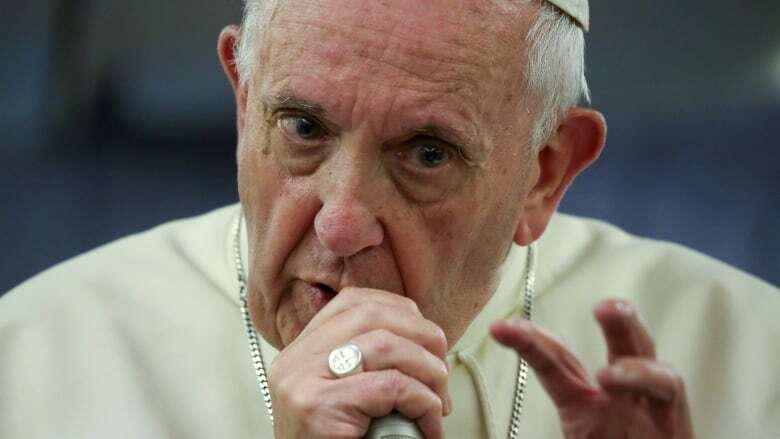 The motion was drafted in response to word that the Pope "could not personally respond" to the Truth and Reconciliation Commission's Call to Action 58, which requests the Pope come to Canada to make an apology to residential school survivors. The Pope came to that decision after "extensive dialogue" with Canadian bishops, according to a letter released by the CCCB. Conservative MP Cathy McLeod, the party's Indigenous issues critic, said she planned to support the motion, but the party let its members follow their conscience on the issue. "There's some people, I think rightfully, that believe Parliament has no role in directing religious organizations in terms of what they should be doing," said McLeod. "They feel that this particular motion crosses that boundary in terms of the separation of government and ... religious organizations." 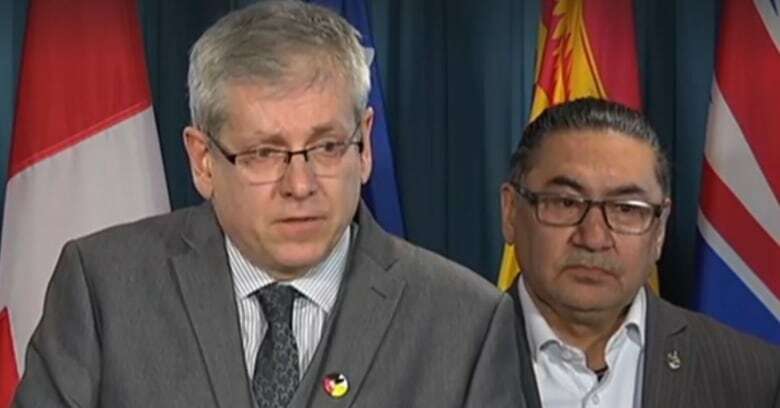 NDP MP Charlie Angus, who co-authored the motion with NDP MP Romeo Saganash, said he was let down but not surprised by Genuis's actions. "This is a tactic of the Catholic bishops working with Conservative Leader Andrew Scheer to block progress," said Angus. "It's just a roadblock. It's going forward and it's going to a vote." Angus said it would now be up to the House leaders of each party to decide when to bring the motion back for debate and a vote. The CCCB claims the motion is driven by "misinformation and misunderstanding." Saint-Jean-Longueuil Bishop Lionel Gendron, president of the CCCB, and Winnipeg Archbishop Richard Gagnon, vice-president of the group, held a news conference on Parliament Hill before the motion was tabled. They argued that Pope Francis's decision not to respond to the TRC's request for an apology did not preclude some unspecified but related action from the Pope should he ever come to Canada and meet with Indigenous peoples. Gagnon said the Pope felt the TRC's call to action requesting the apology, which included a one-year timeline for a response, had "rather strict confines." Gagnon said he couldn't speculate on what the Pope would say should he ever come to Canada, but that he has "a place in his heart for Indigenous peoples" as his track record shows. "He is open to considering coming to Canada," said Gagnon. "He is giving deep thought to this." The bishops also argued the Catholic Church had no direct responsibility for residential schools which were run by 16 dioceses and about 36 orders. Catholic orders ran about 70 per cent of all residential schools. Saganash, a residential school survivor, said he felt like vomiting listening to the CCCB news conference and had to walk out. He said he and his siblings attended four different residential schools, some thousands of kilometres away from his home in Waswanipi, Que. "It is very disappointing. It is very disgusting," said Saganash. Sen. Murray Sinclair, who was the chair of the TRC, said the Catholic Church continues to try to avoid accountability through a decentralized structure. "We know those entities were created for the express purpose of protecting the central assets of the church," said Sinclair. Evelyn Korkmaz attended the Catholic-run St. Anne's residential school in Fort Albany, Ont., from 1969 to 1972. Following an Ontario Provincial Police investigation in the 1990s, a total of five people, including two nuns, were convicted of crimes committed at that school. "I would accept an apology today, tomorrow, two years from now," she said. "An apology to me is an acknowledgement of the abuse that was done to us as children. That is all we are asking for."